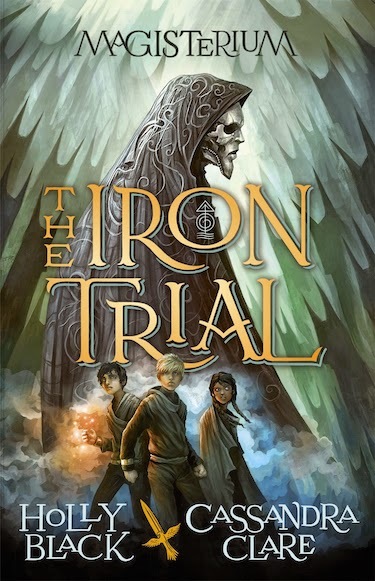 The Iron Trial was written by Cassandra Clare and Holly Black, and published by Random House Australia. It's Book One of a series called The Magisterium. I would roughly categorise it as middle grade fiction but it worked perfectly for me as an adult who reads lots of YA, particularly fantasy and who reviews lots of children's books. I believe many teens and adults will enjoy it too, if they’re looking for a powerful fantasy/adventure, well-told. The Iron Trial is just the beginning. Call's biggest test is still to come . . . I really loved The Iron Trial. I admit I was curious how the writing partnership of Black and Clare would work, but I soon forgot and was completely absorbed in the story. The authors are brilliant at character and world-building. But the standout feature to me was the excellence of the writing - tight, lots of tension, just enough description, plot with twists and turns, believable dialogue for the speakers' ages, characters we like, a strong point of view character whose eyes we look through, humour, great pacing … The Iron Trial has it all. Of course, like other truly great books, you're not really aware of all that while reading, because you're caught up in the story from the start. Do seek this book out if your kids enjoy fantasy, and read it yourself too! You can read an excerpt at Random House’s website.